In February, GPRA becomes 7 years old!!! What a journey we have been on. As we approach 1,200 rescues, there are many things we have learned, but three stand out. First, Great Pyrenees are incredibly resilient. 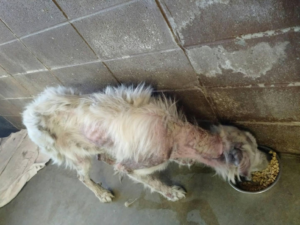 We have example after example of tragically neglected or abused PYRS that, once loved and nurtured, become stunningly beautiful and confident dogs. 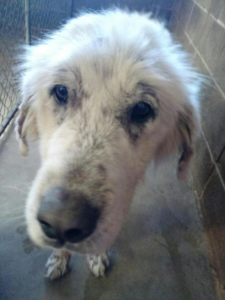 Nysha, a 1 1/2 year old that we are getting Tuesday from Albertsville, Ala. with an indian name that means transformation, and like Korine and so many others, will become stunning once a GPRA foster family does their magic. Second, we have learned that large breeds have an average life span of about 10 years but PYRS are averaging closer to 14-15 years. We have had three different owners wanting to adopt from us, two of which lost their PYRS at 20 and one at 19. We’ve learned PYRS generally do not get cancer until much older in life. They have other things go wrong with age but they are fixable. Third, we have the most remarkable, compassionate and selfless volunteers and board members that have made GPRA the success that it is today. In February our new website goes live and we will be introducing the Schultz Fund where we will provide scholarships to those adopters that have their PYR from GPRA trained as a therapy dog. The fund is initiated by Elizabeth and Philip in honor and in memory of Schultz, the big famous boy they adopted from GPRA that is our feature in our Gentle Giants in the Park picnic poster. Save Sunday April 23rd for the 2017 Gentle Giants in the Park which will be bigger and better than ever with the drawing of the $10,000 GPRA raffle once again. Heather has taken over for Bonnie as Foster Director and is doing a fabulous job. We thank Bonnie for her passionate involvement and hope she will become active again with GPRA when she is ready in the future. Fosters are our lifeblood so guess what we need more of? Our first two rescues of 2017 were a mother and son, Marly and Buddy. Both are heart worm positive and it appears Marly is bonded with Buddy and is distraught without him so we are looking for a foster/adopter that can keep them together. 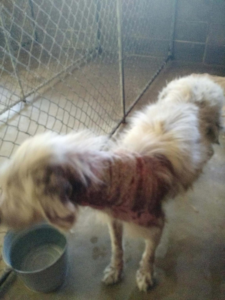 Steph and her team are getting a record number of adoptions with 23 already in January but we are also taking in a record number of PYRS requiring serious medical attention which Marla and VCA are having to deal with. We are looking forward to a great 2017 that is already off to a bang.